Are you an introvert or an extrovert? 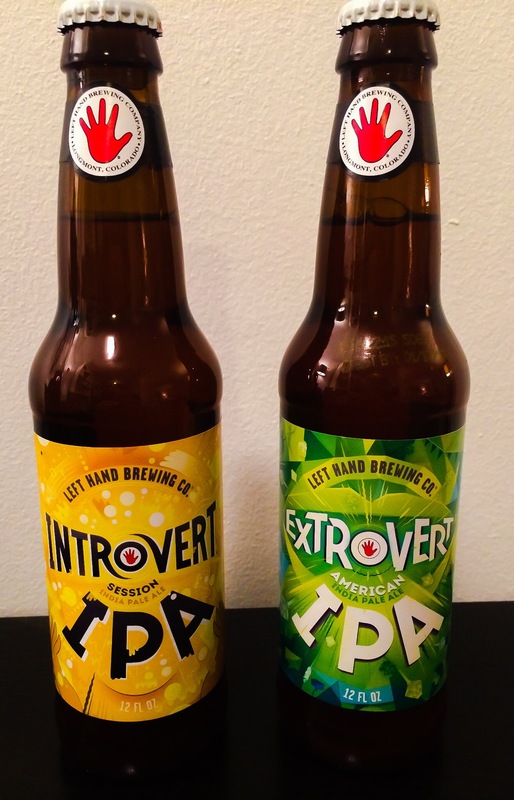 With Left Hand Brewing’s Introvert Session IPA and Extrovert American IPA you don’t have to choose. If you’re feeling “opinionated and hopped-up” a nice session Introvert IPA is exactly what you need. Feeling bold? Then the “assertive, fruit-forward hops” of the Extrovert IPA is right up your ally. Depending on your mood, you can’t go wrong with either one. Aroma: Light and hoppy, with a hint of fruit. Taste: Full flavored hops but not too overwhelming, with a dry finish. Definitely more bitter than some of your run of the mill session beers. If you’re looking for sessionable IPA with bitter hops, you’ll want to try this one. Taste: Strong flavor of hops with a hint of citrus. It has good mouthfeel and finishes smooth. It is very drinkable, perfect if you’re looking for a nice, hoppy beer.